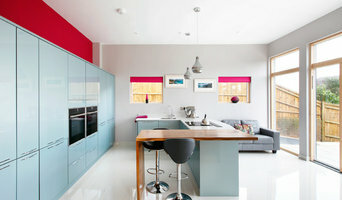 I photograph interiors for architects, interior designers, holiday home owners and estate agents. Based in Brighton, I accept shoots in Sussex, London, Surrey, Hampshire, Kent and Berkshire. I am a professional freelance Property, Interior and Architectural Photographer, based near to Brighton, East Sussex. With over 5 years experience, I strive to capture the feel and the atmosphere of your property and show off the excellence of your design. Professional freelance architecture & interiors photographer with over a decade of experience. Working for interior designers, architects, construction companies, hotels & travel companies, specialist kitchen & bathroom designers as well as garden designers. Based in Brighton & Hove, I’m close to London with all its interests & travel connections. Yet with all the benefits of this eclectic city, the countryside and sea there’s no shortage of subjects to photograph. I particularly enjoy photographing interiors & property, arts & crafts, and food & producers. I prefer to use ambient light primarily, but many situations require some lighting so I make use as required, but kept as natural looking as possible. I’ve been lucky enough to win a few awards along the way for my food photography, and my published photo guidebook, which was a labour of love on quirky British events called 'A Brit Different'. Award winning Photographer Specialising in Architecture, Property & Interiors. 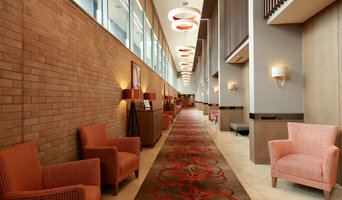 We offer Digital stills, 360 Property tours, Aerial. With over 15 years experience as a Professional Photographer in the field of architecture I have a solid understanding of a wide variation of clients needs. I am happy to shoot projects both large and small, whether that be a full day or an hour, and I tailor my fees accordingly. Jack Beard is a skilled photographer, specialising in Architecture, Residential and Commercial Interior Design. Jack has experience working with a number of high-profile clients, creating high quality images to showcase their wonderful properties. Being based in between London & Brighton, Jack has the ability to cover a wide radius for potential clients. Professional interior, lifestyle and interior product photographer. 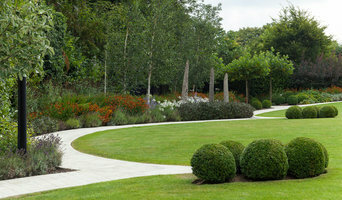 Based in Sussex; however I work on projects throughout the UK and abroad. Specialising in interior design photography, for both large and small companies, clients include luxury residential and commercial interior designers, interior magazines, property developers, boutique hotels and leading travel companies. Photographer for architectural, interior & construction projects. I Photograph Architecture and the built environment for Architects, Design Agencies, Construction companies and PR Agencies, my clients include, Feilden Clegg Bradley Studios, Rick Mather Architects, Wilkinson Eyre, Bloomberg, Assael, PADStudio, alma nac, Lyall Bills & Young, FraserBrownMacKenna, CDMS Architects, NBBJ Architects, Atkins Design, ADP, MCM Architects, John McAslan and Partners, IBI Nightingale, Milford & Martin Architects, Sam Tisdall Architects, Richard Mitzman Architects, ECE Architecture, Richard Dewhurst Design, Studio Carver, Scott Brownrigg, Land Design Studio, The RIBA, DPA Lighting, Kier Construction, Willmott Dixon, GQ Design and Colliers International. My work has been published in various places including The Architects Journal, Architecture Today, Building Design Magazine, Wallpaper Magazine, the Guardian, The Sunday Times Magazine, The Evening Standard, Grand Designs Magazine and Dezeen. My Architectural Archive is represented by View Pictures and RIBAPIX. David Churchill is an award winning architectural + interiors photographer based in London and Brighton and working internationally. He combines his deep passion for design with a flair for balance and light, to capture clean, simple and striking images, free from distractions. His work demonstrates a detailed understanding of the characteristics of the photographic image and the remit of the client. 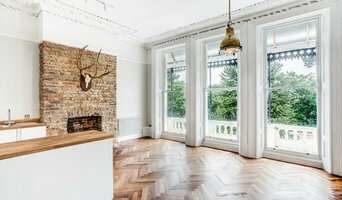 I am an award winning professional property photographer based in Hove, East Sussex. With 10 years experience serving private and commercial customers both large and small I know exactly what it takes to create stunning image portfolios. I also offer digital floor planning services. Faye Stannard welcomes photographic commissions from interior designers, garden designers, estate agents, property developers and hotel and and holiday let owners. Why should I hire a professional interior photographer in Brighton, East Sussex instead of leaving it to the estate agents or letting agents, or taking the photos myself? A professional interior photographer in Brighton, East Sussex will be able to evaluate the key selling points of your home and present those in a way that is truthful yet instantly appealing to viewers. Those images should be unique to your property, capture its feel and hint at its true potential. If you live in a top-floor studio, for example, the focus should be on natural light, views, detail and clever use of space. However, those living in a rural cottage should make sure that the cosiness of the fireplace lounge, the characterful range cooker kitchen and an abundance of outdoor space are shown off. Obviously, most estate agents and letting agents organise property photography themselves but some either don’t use the right equipment or they rush through the job. Let’s be honest, photography is not a core part of their skill set. If you are selling your home through an estate agent, you can expect to hand over at least 1.5% of the agreed price. Surely that should pay for a carefully considered and highly appealing set of photos? Not necessarily. And that's not all. Unless you live in a property hotspot, it’s a buyer’s market out there; fiercely competitive. Why not stand out from the crowd? For the right reasons. You will be amazed by what a professional Brighton, East Sussex interior or architectural photographer can do, given the time and a few extra pounds. And let’s not forget post-production and retouching. Some Brighton, East Sussex interior and architectural photographers will spend three times as long editing as they will shooting. If you have ever tried to use photo editing software such as Adobe Photoshop, you will understand why. That expertise and attention to detail is what you are paying for. And it might just pay back, with interest. Where can I find the best professional interior photographers and architectural photographers in Brighton, and what should I be looking for? The best place to start is Houzz. Search for Brighton, East Sussex photographers in the Find a Pro section and then start to fill your Ideabooks with your favourite photos. Think about whether you need a professional with particular expertise – interior photographer, architectural photographer, landscape photographer – or an all-rounder. We also have professionals that specialise in 360-degree photography, if necessary. Some Brighton, East Sussex architectural photographers are more experienced in shooting certain types of property such as contemporary apartments or coastal retreats. You can find them by browsing the Photos section and working through the relevant style category. Carefully look through each portfolio, try to imagine who might best bring to life your home and then contact a shortlist of three. Although not essential, if he or she is a member of the Master Photographers Association (MPA) or the Association of Photographers (AOP) that might imply that they more seasoned and trustworthy. Find an interior photographer on Houzz. Narrow your search in the Professionals section of the website to Brighton, East Sussex photographers. You may also look through Brighton, East Sussex photos to find examples of photography that you like, then contact the interior photographer who worked on them.